Today I’m sharing a roundup of ten favorite desserts found right here on In a Southern Kitchen. Some of these are quick desserts and some will take a little time, but all are fabulous and often requested by family and friends. Please let me know in the comments if you make any of these desserts to share with your family and friends and be sure to pin on Pinterest and share on Facebook! My family’s favorite and most requested cake—I’ve made this cake so many times over the last 25 years that I think I could make it in my sleep. It’s in the oven in less than thirty minutes and is foolproof. It comes out beautiful every time, never sticks to the pan, and never falls. This cake is moist and has great flavor from the cream cheese and vanilla. Try it today! You will love it. 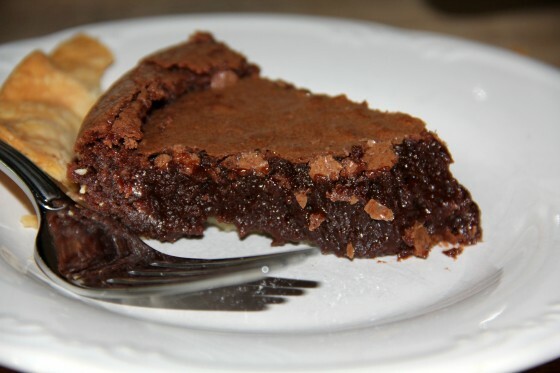 What’s not to love about a chocolate pie that’s gooey, fudgy, and has a good balance of chocolate? This pie is the most viewed recipe on the site. It is easy, fast, and a chocolate lover’s dream! 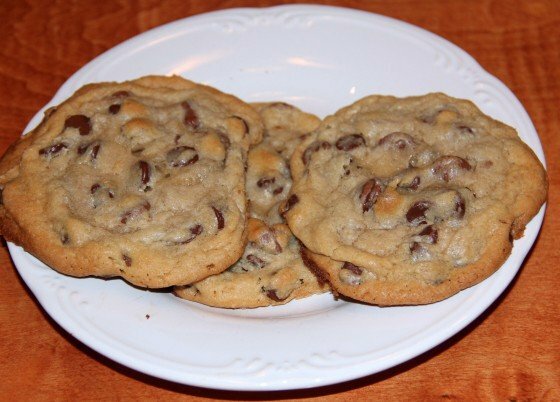 The second most-viewed recipe on the site, these chocolate chip cookies are also a family favorite. My kids request these frequently. The combination of semi-sweet and milk chocolate gives the cookies a slightly unique flavor and we like to make them BIG. You don’t have to let the dough rest for a couple of days, but if you do, your cookies will be even more awesome. Is there a pattern emerging here? Chocolate, anyone? My Granny always made this cake for me when I visited her. It’s my favorite cake in all the world because when I make it now it just reminds me of her. You should make this cake for your kids today. Food is love. You thought this was going to be all about chocolate, didn’t you? 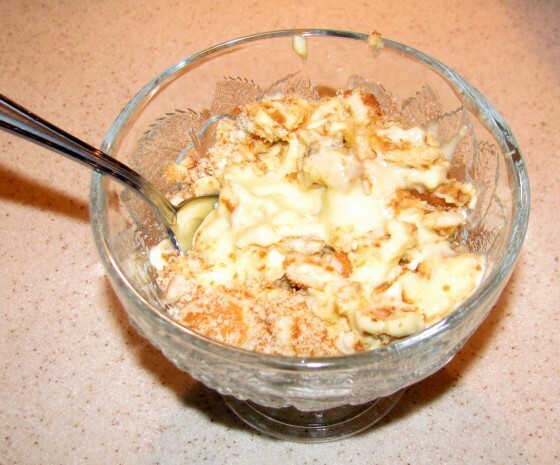 Have you ever had real homemade banana pudding? Not the kind made from pudding mix, that doesn’t even count. No, I’m talking about real custard made with eggs and cream. You will never want any other kind after you try this recipe. The custard recipe comes from Scott Peacock and Edna Lewis and it is the best I’ve ever had. Add the bananas and vanilla wafers and you have banana pudding. 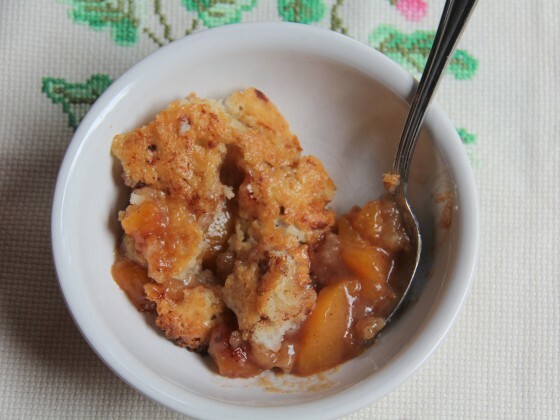 When the peach trees start blooming here in Georgia, we start thinking about peach cobbler. It’s a favorite for just about everybody. But you don’t have to wait on fresh peaches—you can use frozen. This cobbler recipe can be used for almost any type fruit, including blackberries and blueberries. No rolling dough or cutting crust strips because the butter, flour, and milk create the crust. Also called Mississippi Mud Pie, this cake is covered in marshmallows and a fudge icing and it is to die for. The icing is poured on when the cake is warm so it soaks into the cake and makes the cake fudgy and moist. Sprinkle some graham cracker crumbs on top and you have a smores cake! 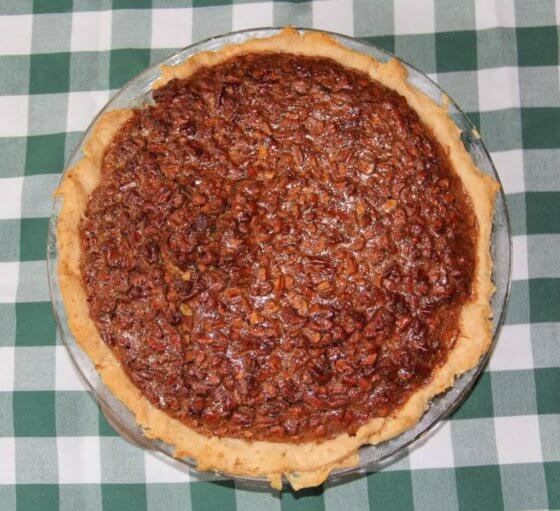 Every good Southern cook has a pecan pie recipe in their repertoire. Mine uses cane syrup instead of corn syrup so has a deeper, richer flavor than most pecan pies and is also a little less sweet. Like all pecan pies, this one is easy to make and goes well with many meals, but especially the traditional Thanksgiving spread. Almost everyone loves a cheesecake, and this New York style cheesecake is absolutely the best. It is creamy and luscious and can be served plain or with raspberry, caramel, or chocolate sauce. It’s pretty tough to narrow our favorite desserts to a list of ten, but the list certainly would not be complete without brownies. Simple, classic, and easy to make, these brownies are always a favorite. Your family will love them too because they are not fancy or complicated. They are just the best brownies. 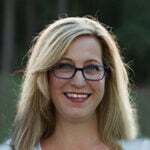 Thank you so much for visiting In a Southern Kitchen. Please come back again real soon. That pound cake looks WONDERFUL! Love them all. It would be hard for me to choose my favorite. Made me hungry just looking at the pictures and thinking about the good times we have had sharing these wonderful desserts. You are an awesome cook! Oh my, what a delicious looking collection of desserts! Just in time, too. I have to take dessert to a church supper next week and cannot decide which to try. 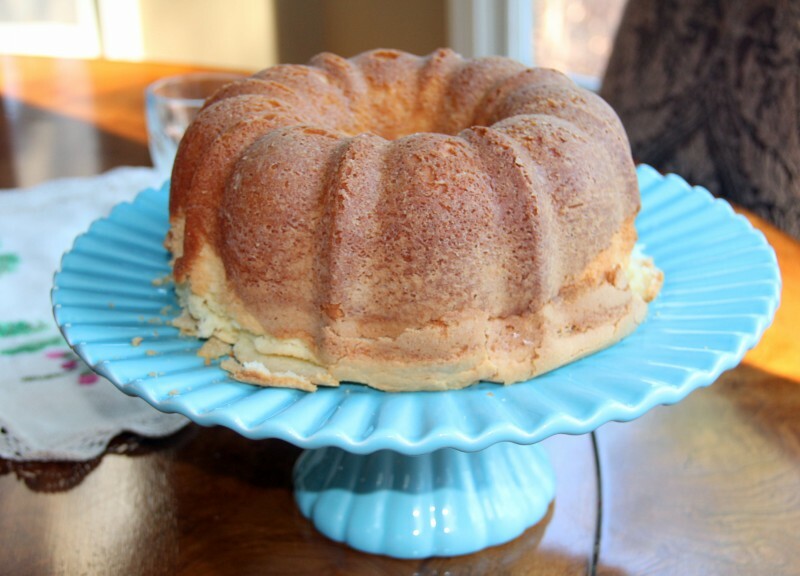 I’ve used the pound cake recipe and I know it’s wonderful! I may just have to try to make several this week and see which we like best! For a church supper, I would suggest the chocolate sheet cake or the pound cake. Or the peach cobbler. Those are probably the best “crowd-feeders.” Enjoy and let me know what you decide! Hope y’all are doing well. All I can say is YUM, YUM, YUM…have enjoyed most of these with you , so I can confirm the awesomeness of each one! Of course, your banana pudding is Donny’s favorite, and mine would have to be Granny’s sheet cake…oh my! If we weren’t on our “wedding bootcamp plan”, I would definitely have to make one of these tonight, and I WILL after March 29, 2014. Maybe the pound cake for Easter Sunday, as I’ve never tried that one! Thanks, Joanie! I’m right there with you. I’ll be glad when our kids are all married and we can just relax and get fat!